A meal for Friday 13th of February. Apparently our modern St Valentines day has its roots in the ancient Roman festival of Lupercalia and the start of Parentalia. For this thirteenfridays meal we combined modern and ancient Italian dishes, packed with aphrodisiac ingredients to stimulate and arouse the spirits! Spooky Scallops served on 13 Oatmeal cakes with a Roman cumin sauce for shellfish. Salt meal cakes were apparently prepared by the vestal virgins to burn as offerings on Lupercalia. 13 ingredient Lupercalian Lasagne (onion, leek, carrot, squash, pasta, tomatoes, olive oil, basil, oregano, bay leaf, vegetable stock, white sauce & cheese), a classic modern Italian dish with an ancient roman vegetable twist. This was served with a 13 ingredient Warm Aphrodisiac Rocket Salad (rocket, 13 baby plum tomatoes, pine nuts, capers, extra virgin olive oil, red wine vinegar, red onion, garlic, brown sugar, dijon mustard, 13 chopped green olives, salt & pepper). 13 Violently Violet Truffles – Violets and flower garlands were (according to Ovid) laid as sacred offerings at family tombs during Parentalia. Frightening 13 Fig Cake (13 ingredients – Flour, baking powder, vanilla extract, salt, milk, sugar, rosemary, orange zest, butter, olive oil, eggs, honey, fresh figs). Figs are a staple of aphrodisiac cooking and we all know how the romans loved a fig! 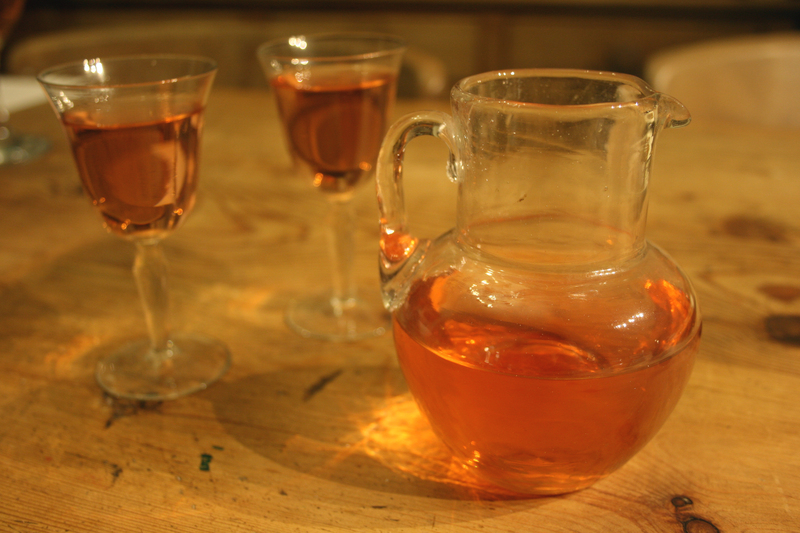 All accompanied by a Roman favourite – Rose Petal Wine! 13 aphrodisiac ingredients – Scallops, Mint (cumin sauce), Basil, Tomatoes, Rocket, Pine Nuts, Honey, Figs, Rosemary, Vanilla, Chocolate, Violets, Rose Petals. This entry was posted in Thirteen Fridays and tagged 13, art, food, Friday, recipe, Thirteen, Unlucky, Wales by Jacob Whittaker. Bookmark the permalink.